Do you remember what life was like in 1999? Home / First Home Buyers / Do you remember what life was like in 1999? 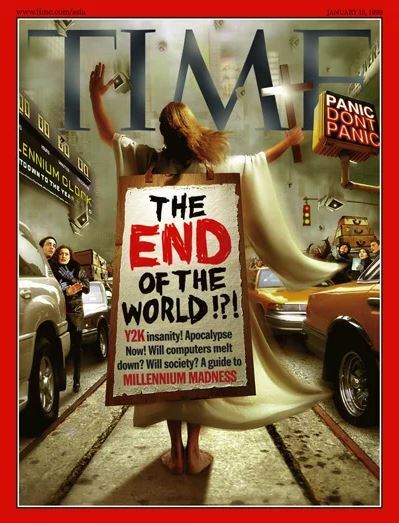 Do you remember the fear that we all lived with in 1999? Everyone forecast the collapse of the universe when the clocks ticked over to 2000? I was reminded of that as I read an article in The Age (Sydney Morning Herald) recently telling home loan customers that they are in imminent danger of losing the extra repayments they have stashed in their home loan. The author even went so far as to say that she had heard a “whisper that a major Australian lender” was about to “sweep away in-loan savings”. The author has subsequently named CBA as the lender she was talking about. So it is not surprising that clients across Australia have been ringing their brokers panicked that they were about to have hard earned savings stripped from them. The article recommends that borrowers with extra money sitting in their home loan should take these funds out right away or risk the bank taking that extra money to reduce its exposure to the borrower. Instead the extra money ought to be placed into an offset account. Two examples are put forward in support of the argument. Firstly, where a client has $50,000 in extra repayments in the loan but is $10,000 in arrears the bank could take $10,000 from your extra repayments and just leave you with $40,000. A second scenario involved a borrower that had previously enjoyed a repayment holiday. The article is sensational, probably verging on FAKE NEWS! The examples used are non-standard and very unusual. And neither I, nor thousands of other brokers, have heard talk about lenders sweeping away in-loan savings. CBA have recently announced some changes that will have the effect of gradually reducing the available funds in redraw on a loan in return for smaller repayments along the way. But “sweeping away in-loan savings” is a lot of literary licence and has unnecessarily alarmed consumers. CBA says the change offers flexibility to consumers (presumably through the ability of customers to reduce loan repayments if they are ahead on their loan). I say it is a poor idea, terribly executed. At a time when there is intense scrutiny on the conduct of financial institutions around responsible lending and banking practices this change, which has been poorly communicated, will mean that thousands of CBA customers will pay more interest on their home loan and not even realise that is the case. The result is more profit for the bank…now that has a certain whiff about it…But that aside, these changes are not about good consumer outcomes but the bank achieving a bank sales and strategic objectives. The so called “flexibility” delivered already exists for home loan customers if they want it. They can, with just one phone call, forgo some of their redraw and in exchange will end up with lower loan repayments. CBA is free to do as it wishes. This is one change I do not see other lenders copying. And I feel that it only further damages consumer confidence in the bank at a time when it has an ever eroding reputation. So Hatch’s next task is to contact all our CBA clients and ensure they understand these changes and that their banking is set up as they want it…not as suits CBA. But getting back to the general point…There is no doubt loan contracts are drafted in favour of the lender giving lenders lots of power and room to move. In deed they could choose to “sweep away in-loan savings” but equally they could take funds from your offset account to set off against your debt to it. This right is not hidden in the fine print, it appears in the main loan offer document (contract) for every bank. Basically, loan contracts state (and I paraphrase) “the lender can do what it wants, when it wants, subject only to what the law allows us to do”. Further on, in the fine print, there is more detail and the contracts generally state they can take money from any of your accounts to satisfy your debt to it…so I see no difference between funds in redraw and in offset. It has been put to me by some of my colleagues that funds in redraw can be “taken” by the bank easier than if the funds are in offset. I accept that might be the case. Certainly if you have an offset account I would generally recommend that you have savings in offset rather than redraw. However, if you are making your loan repayments on time I don’t see the bank messing with your banking either way…and if you are in arrears and not doing anything about it, then expect the lender to do something and that might start with accessing any funds in redraw or offset. The article does make a very good point. Redraw and offset are not the same thing however most consumers use the terms interchangeably like they are the same thing. Lenders that do not have a full banking licence do not offer a true offset account, just redraw. A decade ago most credit unions, building societies and non major bank lenders did not have banking licences and could only offer redraw. These days such lenders are mostly authorised deposit taking institutions meaning they can offer true offset accounts. That is not the case with many internet based lenders. Borrowers need to understand all this when they are looking at lenders and loans. Don’t stick your head in the sand when it comes to life and in particular your finances. If you get into arrears on your home loan do not ignore the problem. You need to take action. If you have funds in redraw, use these funds to make your loan repayments. If you need these funds for something more important (medical treatment might be one good example) or if you don’t have any funds available, then get on the front foot and call your broker or lender and seek hardship assistance. Lenders are generally more accommodating when your take the initiative and are seen to be managing the problem as opposed to them chasing you (and you hiding). Knowing that a lender can pretty much do what it wants is pretty scary, right? So what stops banks from acting capriciously and with total disregard for you? Three things. The National Consumer Credit Code (i.e the law), the threat of reputational damage and market forces. Now you might wonder how sensitive banks are to reputational damage in light of the Royal Commission (and fair enough even seasoned brokers are amazed by some of the revelations) but the mere fact that lenders cannot impose early repayment fees any longer and therefore it is relatively cost free to move between lenders (costs are generally around $500-$800 to switch) means if a bank “behaves badly” then customers can pick up and move lenders (sometimes the incoming lender will cover your costs to move making the move cost free if not pain free). In recent years the Big 4 banks have lost home loan market share to the non-majors. Interest rates are a factor but there are lots of clients who don’t want to deal with the Big 4 at present. That is a sign of market forces working to a greater or lesser extent. So if The Age article is giving you sleepless nights, or you have a CBA loan, give me a call and lets talk…if only for your peace of mind.